The statement spans five tweets and ends by saying the site will reveal steps it’s taking to prevent this from happening again. But as of publication, Logan Paul’s channel is still on YouTube, so whatever. Paul deleted the video less than 24 hours after posting it following outrage, but not before it had been watched by some six million people and — it emerges — been okayed by YouTube’s moderation team. 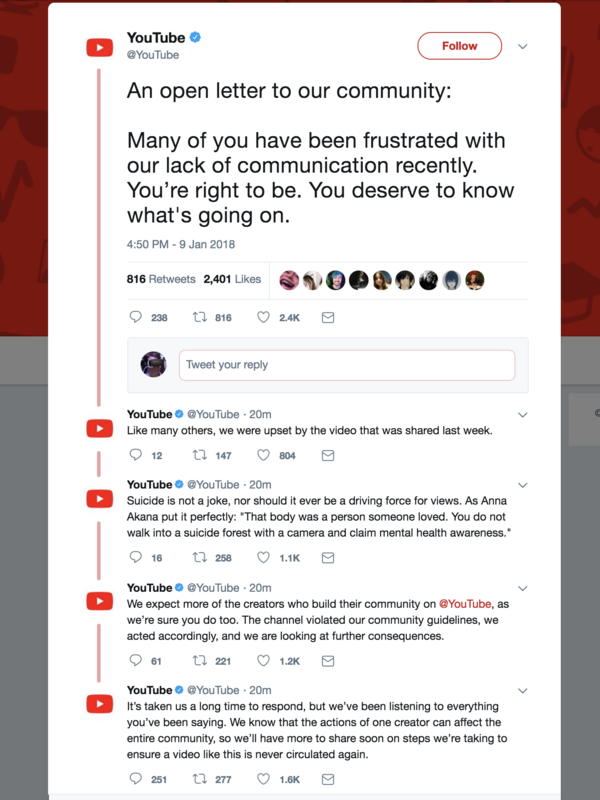 Paul has since apologized a second time, but now the focus must be on how and why YouTube did not remove the video.